Nepal always satisfies you in different aspects. Because of the various attractions and activities, the designed Nepal tours might be different in theme and length. The following ideas aim to help you plan the Best Nepal Tour Packages for you. An easy & free way to start planning your first trip to Nepal. Nepal Tours offers an incredible opportunity to experience the richness of this country's culture, history and scenery across three amazing locations. Starting in the temple-dotted capital of Kathmandu, you'll also spend time in Pokhara and Chitwan National Park. All in the shadow of those breathtaking Himalaya mountains. Nepal Tour has been pioneering sustainable and responsible tourism and travel in Nepal since 2009. We offer unique and exciting adventures in some of the world’s most incredible places. Every one of our trips, tours and activities are designed to offer you a unforgettable, once in a lifetime experience that is culturally and spiritually insightful whilst holding true to our environmental and social and cultural sustainability values and responsibilities. More than any other tour company, we work hard to ensure every aspect of your stay is environmentally friendly and socially responsible whilst providing you with the best that Nepali hospitality has to offer. In our official website we are listed different tour packages as per clients need. Among them we are sort out Best Nepal Tour Packages . So just plan and pack your bags to explore the amazing destinations around Nepal that are loaded with mind-blowing attractions during your coming vacation. Nepal always satisfies you in different aspects. Because of the various attractions and activities, the designed Nepal tours might be different in theme and length. The following ideas aim to help you plan the Best Nepal Tour Packages for you. An easy & free way to start planning your first trip to Nepal. Nepal Tours offers an incredible opportunity to experience the richness of this country’s culture, history and scenery across three amazing locations. Starting in the temple-dotted capital of Kathmandu, you’ll also spend time in Pokhara and Chitwan National Park. All in the shadow of those breathtaking Himalaya mountains. Nepal Tour has been pioneering sustainable and responsible tourism and travel in Nepal since 2009. We offer unique and exciting adventures in some of the world’s most incredible places. Every one of our trips, tours and activities are designed to offer you a unforgettable, once in a lifetime experience that is culturally and spiritually insightful whilst holding true to our environmental and social and cultural sustainability values and responsibilities. More than any other tour company, we work hard to ensure every aspect of your stay is environmentally friendly and socially responsible whilst providing you with the best that Nepali hospitality has to offer. In our official website we are listed different tour packages as per clients need. Among them we are sort out Best Nepal Tour Packages . 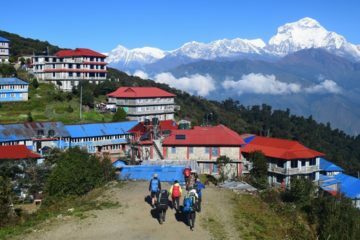 So just plan and pack your bags to explore the amazing destinations around Nepal that are loaded with mind-blowing attractions during your coming vacation.